€8,500 pcm. Penthouse For rent Available now! Minimum Rental Period: 12 Months. Highly exclusive 350 m² penthouse property available furnished or unfurnished with 3 terraces, renovated, bright and tranquil. 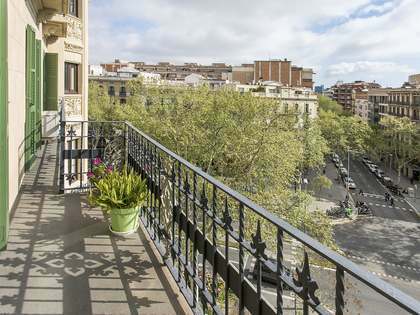 Located on Passeig de Gracia. 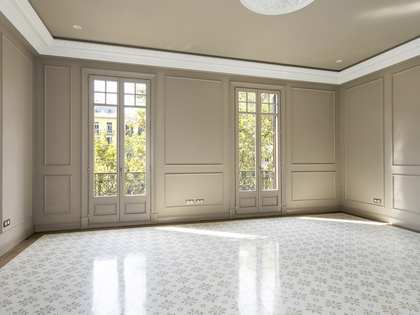 This incredible penthouse property is available furnished or unfurnished and is located on Passeig de Gracia at the junction with C/Provença; a truly enviable location at the heart of Barcelona. It offers 300 m² of usable interior space and 50 m² of exterior space divided between 3 terraces. 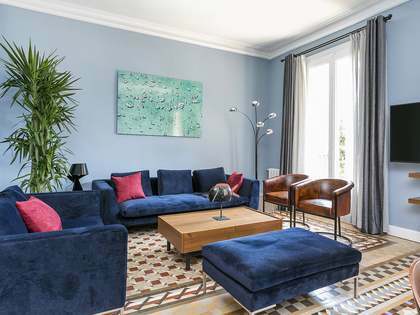 The property enjoys abundant natural light throughout and spectacular views of Passeig de Gracia in all directions, as well as the Sagrada Familia and La Pedrera, 2 of Barcelona's most emblematic buildings. The penthouse has been fully renovated with modern bathrooms, kitchen, and a home automation system and decorated with classic period furniture, creating a luxurious, regal atmosphere throughout. With regards to the layout, the property has clearly demarcated living and sleeping areas. 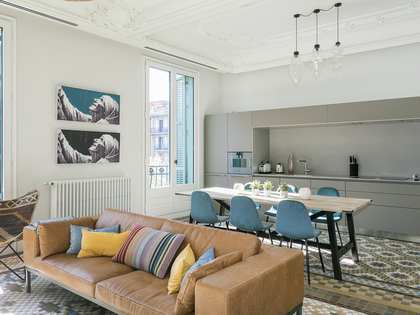 The impressive 32 m² entrance hall leads us to a study with a terrace over Passeig de Gracia, then on to the wonderfully bright 40 m² living room, the 26 m² dining room with its terrace and the 25 m² kitchen. The night area offers 4 double bedrooms, 3 of which enjoy access to a 30 m² terrace with views of the Sagrada Familia and one which has its own dressing room. The 4 bathrooms are presented in pristine condition having been renovated with high-end materials. Additional features include double glazed windows, parquet flooring, air conditioning, heating and motorised blinds. An alarm system and concierge service allow residents in this building to enjoy complete peace of mind. A car park is located next to the building. 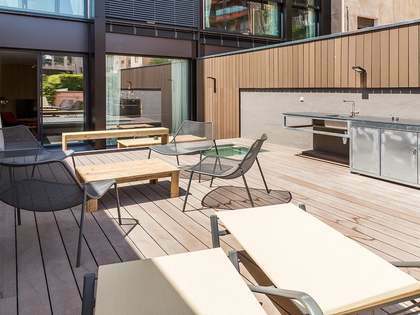 A unique opportunity to experience life at the very heart of Barcelona from the comfort of a highly exclusive penthouse property. 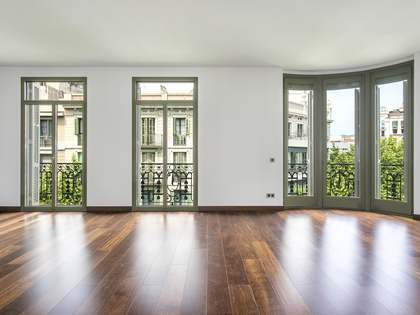 Building in an unbeatably central location in the Eixample Right district of Barcelona, on Passeig de Gracia, at the junction with C/Provença. This area is brimming with shops, cafes, bars, restaurants, public transport stops and all manner of services. For rent, Apartment €3,450 pcm.